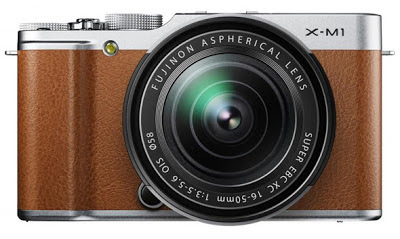 Fujifilm expands its lineup of mirrorless cameras with the X-M1. 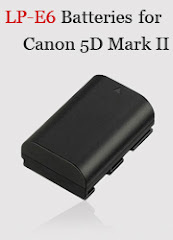 Compact and lightweight, the retro-styled camera features a 16.3MP APS-C X-Trans CMOS sensor, a 3" tilting LCD screen, a built-in flash, full HD video recording capabilities at 30fps, and WiFi connectivity. The X-M1 comes with a new XC16-50mm F3.5-5.6 OIS zoom (24mm-76mm equivalent) kit lens and will available in black, silver, and brown sometime in July. FUJIFILM’s Super i-Flash technology to regulate the amount of light it fires dependent on the scene. In low-light indoor portrait shots or for close-ups of accessories / plates of food, the flash controls its output to reduce highlight blowout. It also provides the perfect fill-in flash when photographing people in backlit conditions or under intense sunlight casting strong shadows on the face. The FUJIFILM X-M1 is capable of full HD (1920x1080) video recording at 30 frames per second. Creative effects can be added when shooting videos with Film Simulation options including Monochrome and beautiful bokeh achieved with the large sensor at a large aperture. Movie recording 1920x1080 30p　Continuous recording : up to approx. 14 min.